Your health plans can be viewed and updated anywhere there is a browser and an internet connection. Vets can access health plans on farm or en-route to the farm. Upgrades to the system take place automatically with no action from you required. Simply logon. Data can be exchanged between farmer and vet via the system whenever new information becomes available. This will improve workflow for all involved. Farmers and vets can simultaneously access the system from their individual locations and collaborate in real time. All vets within the practice can review health plans at the same time. Our news feed will keep you up-to-date with events, and system and product updates when they arise. Farmers and agricultural consultants see the sections most relevant to them, the data collection and summary sections. * To allow performance to be monitored on an ongoing basis, enter scanning figures when scanning is complete or weaning figures when lambs/calves are weaned. * Targets can be updated throughout the year. * If you encounter a new disease/condition during the year, your vet can immediately set up a new treatment action plan. Throughout the health plan steps the previous year's production, target and disease data is displayed side by side so you can instantly compare performance. Health plan review dates help improve the health planning process. When you enter review dates they're viewable in the calendar and on the health plan cover page. Once the review is complete, take use of the upload documents feature to upload your notes or record them directly into the event completion notes. Allows you to create custom calendar events outwith the health plan. e.g. add a reminder to order vaccine, worm the dogs or a treatment given to a sick calf. You can now export your SAHPS calendar as an iCalendar (*.ics) file. Events in your SAHPS calendar can be viewed in your personal Calendar application (e.g. Google Calendar, Apple iCal, MS Outlook). Events in your personal calendar will be shown with a hyperlink straight to the detailed event information on your health plan calendar. Events can be easily viewed, updated and printed if need be. Enhanced calendar filters, allowing you to filter on event types, for instance vaccinations or sampling/testing events. Use your calendar quick link to easily record events via your mobile device which will help you populate your health plan. Scheduled farm events are colour coded by species and can be displayed in a monthly or yearly calendar view. Details for instance when vaccinations or sampling events are scheduled and to which class of stock it applies. View clients at a monthly or yearly level as a calendar and/or agenda listing. Users can logon and mark events as complete updating the date of completion and any comments. This gives the vet feedback on when events were actually completed, as oppose to when they were scheduled. View a worklist of events for all your clients in one place. Compare physical performance measures, flock/herd targets, or disease incidence figures. For each measure we present the upper, median and lower quartiles from data recorded within the system. Reports can be generated for individual flocks or herds or for the enterprise year after year. Use the graphs to display the herd & flock production or disease data. Want to compare your specific enterprise against other similar enterprises? A variety of filter combinations are available within the reports section to further refine your query. For example, you can compare your data against similar enterprises at a county level. Tabular results can be downloaded into Excel spreadsheets or CSV files for your own customisations and use. Rather than re-creating the next year's health plan from scratch, the system allows you to copy forward the key information from a previous year's health plan. If the same performance, disease or biosecurity issues are encountered then the action plans are automatically retrieved and can be further refined. This feature saves both the farmer and vet valuable time. We provide lists of industry standard biosecurity recommendations. These recommendations can easily be inserted into health plans to produce a comprehensive biosecurity action plan, once again saving valuable time. The Appendices section provides an additional information resource for our users. Examples are livestock recording templates, investigation protocols and technical information notes. This may be of particular use when no internet connection is available. Farmers that don't have access to the internet can still benefit from the system - your vet practice may offer a bureau service. Our system provides and maintains a comprehensive and up-to-date list of UK licensed drug products. Product data (including dosage & withdrawal periods) can be inserted at the click of a button saving you valuable time. When you prescribe a product within a health plan you have the option to edit the product data and maintain the information yourself, or to receive automatic product updates. This feature may prove extremely useful, if for instance, a product withdrawal period changes. Practices as a whole or vets individually can set up a "favourite" list of products which saves time when prescribing treatment protocols. Throughout the health plan there are a number of data validation rules to ensure that invalid data isn't entered accidentally. This ensures that the quality of data in the reports is high and reliable for interpretation. Each step of the health plan has complex validation rules, where if a step is left incomplete or requires review, the step icon will show red to indicate it's invalid. If the step icon is green it means that there are no problems with the data entered and nothing further requires attention on that step. Every update to a health plan is recorded, therefore should vets need to know who made a change to a health plan - information can be provided. If there is a litigation problem then there is a robust auditing system in place if required. Accounts can be created for vets, farmers, agricultural consultants and practice administrators. A practice read-only account also exists. Farmers have control of who has access to their farm data & health plans. Farmers can give full or read-only access to practices or individual vets/consultants. All beef & sheep records for clients are now in the one place. Practice administrators can create, update and archive vet accounts within their practice (caters for locum vets). Vets have access to all the practice's health plans. If a vet isn't familiar with a particular farm they can quickly get up to speed by reviewing the client's health plans. Vets and practice administrators can create accounts for their clients, allowing them to get started on health planning immediately. Accounts that are no longer in use can be archived. 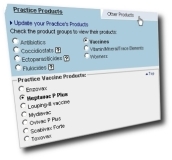 Create a list of preferred practice products. This list of commonly prescribed treatments can then be referred to when setting up client health plans. Personalise your client's health plan with the addition of your practice logo(s) to your client's health plan cover page. Giving flexibility to print only those pages required. The health plan cover page will contain the practice contact details and name(s) of the vets directly responsible for the health plan. The cover page can also be used as a signoff sheet. Contact us via the website, email or phone and we can access your health plans with you to look at any specific problems you may be having. We can provide system training for vets, farmers and consultants online, in groups or for individual practices. Also contains quickstart guides to help you through the creation of farm and vet accounts, flocks/herds and health plans. Describe the purpose and function of the page and what information to record. Throughout the system you'll find little question mark icons that further explain the item in question. Upload related reports or documents including abattoir reports, health scheme tests etc. 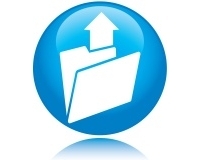 Uploaded documents can be shared with other users allowing the farmer and vet to share documents. These can also be edited, commented on and downloaded. When test results are returned the document can be linked to the scheduled test date in the calendar. Users can post comments and replies to documents creating a discussion forum. If the document is revised and edited more than once, multiple revisions of it can be uploaded and accessed at any time. When a new update or comment is posted to the document all the users who have subscribed to receiving updates will be notified by email. A comprehensive search facility allowing you to find your documents quickly.